During the March School Holidays, we had an unplanned staycation. At Mount Alvernia hospital, no less. It all began with an insect bite, a seemingly innocuous one (or so we thought) that Ash had gotten in school on the last day of the school term. That weekend started on a fun note which saw us heading to Sentosa for the giant bouncy inflatables. But Ash soon developed a fever that Saturday afternoon. We gave him paracetamol and packed him off to bed for an early night. His body temperature then fluctuated between 37 and 39 degrees throughout Sunday so we thought we had better pay the GP a visit. 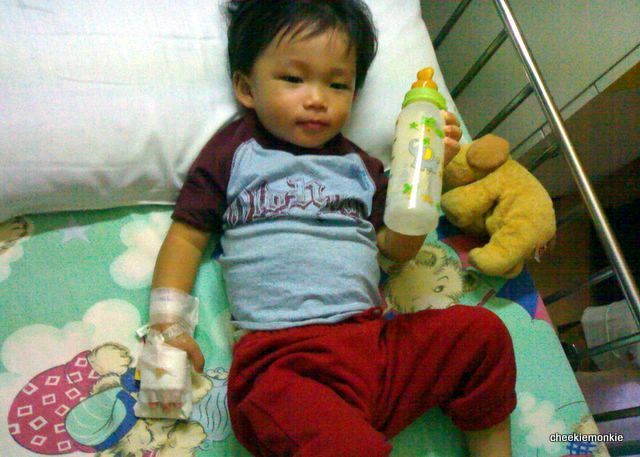 At the clinic, his fever had completely subsided. However, his body still felt very warm to touch... which made the GP very suspicious. Ash's body also appeared pinkish - like a mild sunburn - and on closer inspection, his upper torso was actually covered in tiny rashes. The doctor then took his blood pressure and heart rate, with both results at contrasting ends of the spectrum. His BP was pretty low (about 75/50 at one point) while heart rate was high at 118. This set the alarm bells off as "something was definitely brewing inside his body". 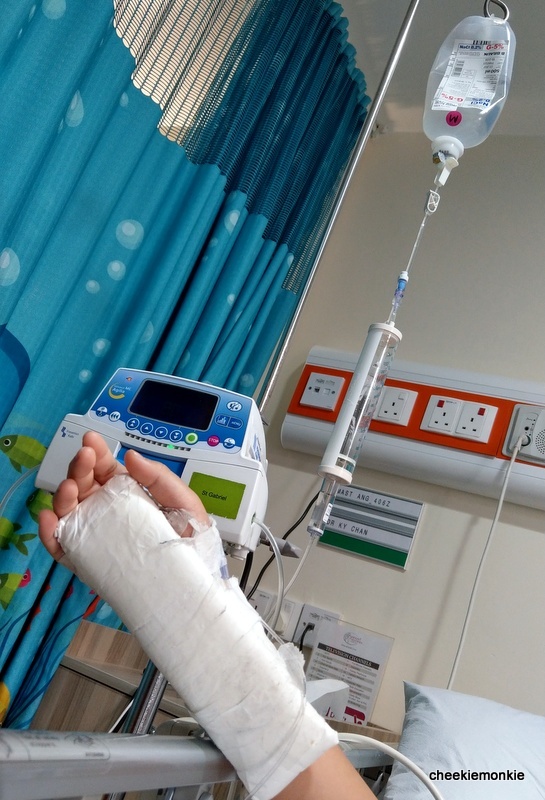 The doctor then advised us to bring Ash to the hospital's A&E department immediately. Which we did and to cut the long story short, Ash was diagnosed with cellulitis and an early stage of sepsis. Yes, ALL of which was experienced by Ash. The bacteria most probably entered through Ash's insect bite which was an open wound. Sigh. 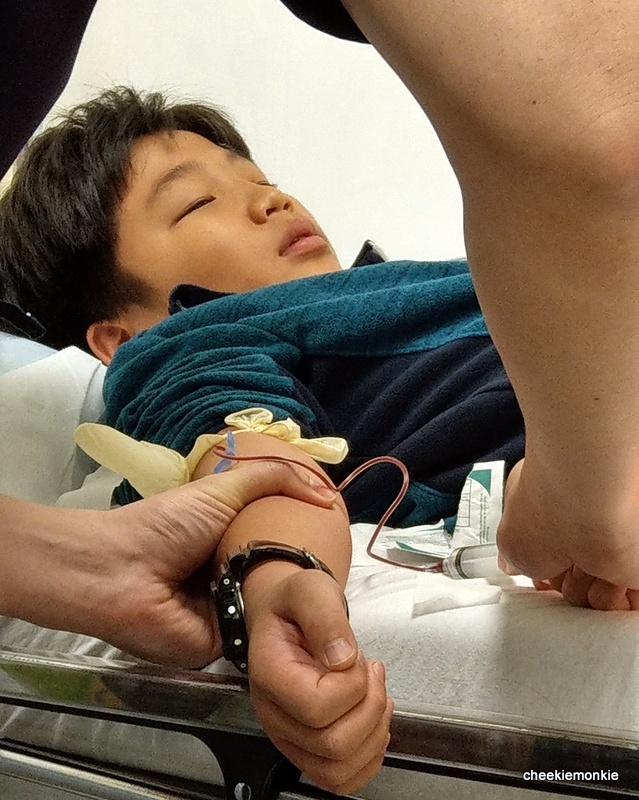 When Ash's blood report came back, it was found that the bacteria had entered his bloodstream... which to put it simply, can have fatal consequences. This is because the bacteria can then spread to one's lymph nodes and become life threatening. And then there is also the issue of sepsis. Sepsis is a potentially life-threatening complication of an infection. Sepsis occurs when the body's response to infection causes injury to its own tissues and organs, causing them to fail. Symptoms for early sepsis include fever, low blood pressure and high heart rate (more than 90 bpm). Again, ALL of which was experienced by Ash. So as you can probably guess, the wifey and I were genuinely worried. Because should sepsis progress to septic shock, blood pressure can drop dramatically, which may lead to death. 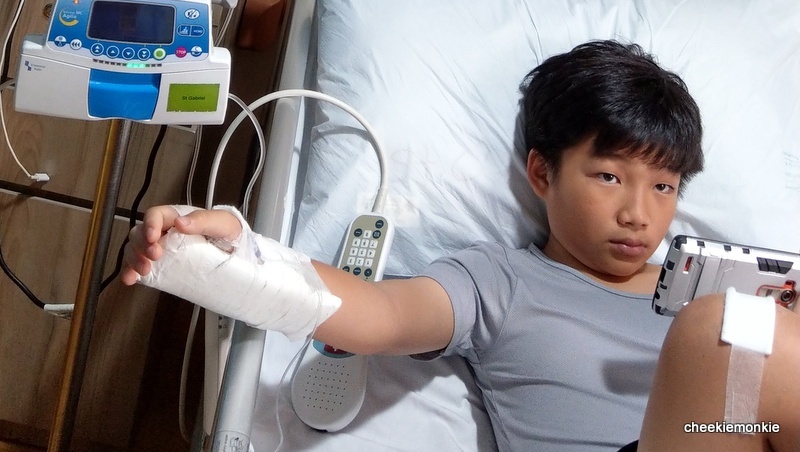 Fortunately, he was diagnosed early and given a two-day worth of antibiotics through drip during his staycation. By the third day, he was deemed to be recovering well and able to progress to oral antibiotics, which meant he could be discharged! 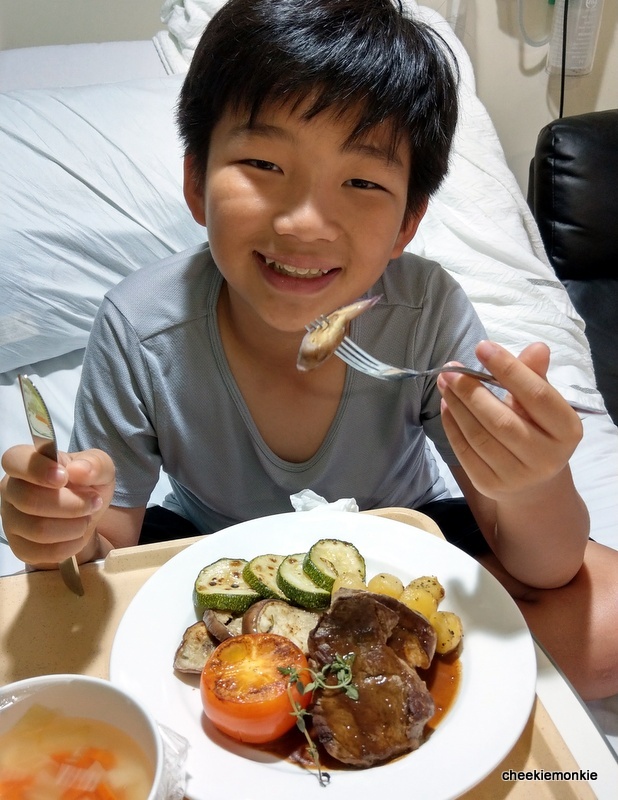 But not before savouring his steak in hospital - yes, they serve steak in hospital. Overall, it was an harrowing experience over 3 three days! And to think this was not the first time Ash has put the wifey and me through a roller-coaster of emotions. NOT FUNNY AT ALL LOR. Anyway, thank goodness he is alright now. Moral of the story? Take proper care of scrapes and cuts to prevent cellulitis. Always wash wounds with soap and warm water, apply an antibiotic ointment if needed, and cover with a bandage to prevent bacteria from entering the bloodstream. And should fever, rashes on the body, or signs of infection (and pain) on the cut occur, NEVER ignore the symptoms and head to the doctor immediately. My goodness, thank God that you decided to bring him to the GP, and that the GP was able to tell that something was wrong, instead of sending him home to rest! What a scary experience for all of you! Glad he’s well and able to smile again. Yup, really thankful that the GP was able to sound the alarm!